How does a vegan diet help during the holidays? The vegan diet can be helpful during the holidays because the nature of the diet is plant based and naturally higher in nutrients, water and fiber all beneficial for trying to remain healthy over the holidays. There are several vegan recipes that have been modified with more healthy ingredients, which can create new traditions of healthy recipes to prepare over the holidays! What tips do you have for people who overeat? Do not cut out heart healthy fats like nuts, nut butters, seeds, avocado and healthy pure oils like coconut and extra virgin olive oil. When the body is depleted of fat we tend to feel hungry and unsatisfied. Add healthy fats to salads, smoothies, coconut yogurts, etc. Can you explain your NAMED program? How did you find out this way of healing addiction? The NAMED program was developed specifically to be proactive and use nutrition and hydration to suppress the opiate receptors. Opiate receptors are largely responsible for addictive behaviors and relapses. Adapting the nutrition plan with powerful and healthy foods that naturally keep the opiate receptors suppressed, decreases the chances for relapse. Physically the body has a reduction in cravings and the individual feels like they have a sense of control over their life again. The program also drastically reduces inflammation by using menus that are 70% alkaline and hydroxide water. Reducing inflammation allows the insulin mechanism to work properly, which helps better metabolize sugar and therefore not stimulate the opiate receptors. Lastly, the program is also used in a modified form where specific nutrients are added or avoided that adversely affect specific mental illnesses. This has proved very successful in lowering the medications needed for certain mental illnesses when working with their medical professional. What are the most common mistakes people make during the holidays? People tend to “bank” up calories, skipping meals to allow themselves a splurge at a holiday party. It is better to eat healthy throughout the day so the “wheel does not fall off” at the party. People also tend to view the holidays as an all or nothing time of the year. They put on weight and promise they will get back to their healthy ways in January, but if they would have remained consistent with workouts and eating healthy with a treat here or there, they would have maintained their weight throughout the holiday season. Holidays are all about desserts. What are healthier desserts? Do desserts always suggest unhealthy eating habits? No, excessive amounts of sugar suggest bad eating habits. Practicing portion control and using small amounts of ingredients like dark chocolate, nut butters, coconut, berries, etc. are all healthy modifications to traditional holiday desserts. What would you suggest for portion size? We like to promote the plate method. ¼ of the plate is protein (meat, fish, eggs, etc. 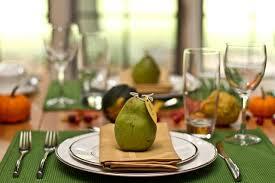 ), ¼ of the plate is complex carbohydrates like rice, potatoes, pasta, bread, fruit, etc. and then the remaining ½ of the plate is fibrous vegetables like dark leafy greens, roasted vegetables, etc. How does a healthy diet affect your lifestyle and mood? A healthy diet promotes an energetic lifestyle, resulting in a higher quality of life filled with fun activities. A diet that has processed sugars and unhealthy fats can cause individuals to have major energy crashes, reduced ability to focus and even depression. Research has actually shown that consuming adequate amounts of omega 3 fatty acids can reduce depression rates. What is your goal during the holidays in relation to diet? Focus on the 80/20 principle, 80 percent healthy nutrition and activities and allow yourself 20 percent holiday treats. Keep expectations realistic by simply trying to maintain your weight this time of year, there are too many temptations that can leave you feeling defeated if you are trying to follow an rigid nutrition and exercise regimen. What is a good diet plan during the holidays? A healthy diet focusing on 9-11 servings of vegetables and some fruit ensuring fiber and nutrient needs are met, quality protein and healthy fat at all meals and most snacks and focused portion control on complex carbohydrates. Eating smaller portions of carbohydrates will promote steady insulin levels resulting in fewer cravings throughout the holiday season. What suggestions do you have for vegans during the holidays? Focus on meeting your protein and healthy fat needs daily (20-25% of daily intake should come from protein, and 25-35% from healthy fat sources). If you find these ratios are hard to meet, consider supplementing with a vegan protein power (pea/rice protein). This will ensure that you are going to feel satisfied and will not fill up on sugary vegan treats. What are benefits of alkaline water? What is it? Alkaline water is water with a pH above 7. The idea is to help the body maintain its pH at 7.35-7.45. The body actually has a system in place to do this and does it very well. The problem really is not pH but acid. The typical western diet has us consuming to much acid and this makes it harder for the body to maintain its proper pH. Excess acid (H+ ions) causes acidosis which causes inflammation which adversely affects 85% of all chronic diseases. Alkaline water will help buffer the excess acid but not eliminate it. I prefer natural hydroxide water which eliminates the acids (H+) by the hydroxide ion(OH-) combining with the H+ ion forming water and eliminating the acid naturally through urination. 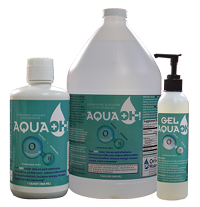 Eliminating the acids with hydroxide water like AQUA OH-! 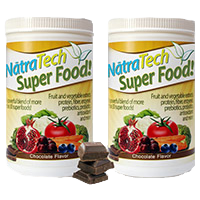 increases energy levels, reduces free radicals and even helps in muscle recovery. Most importantly is drastically reduces acidosis and thus inflammation.